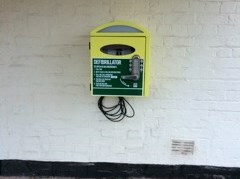 The Parish Council has three Automated External Defibrillators (AED). 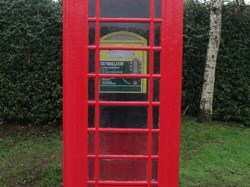 One has been installed in Nesscliffe on the Garage wall, the second is in Wilcot on the wall at Nesscliffe Training Camp and the third is located in the phone box in Little Ness. 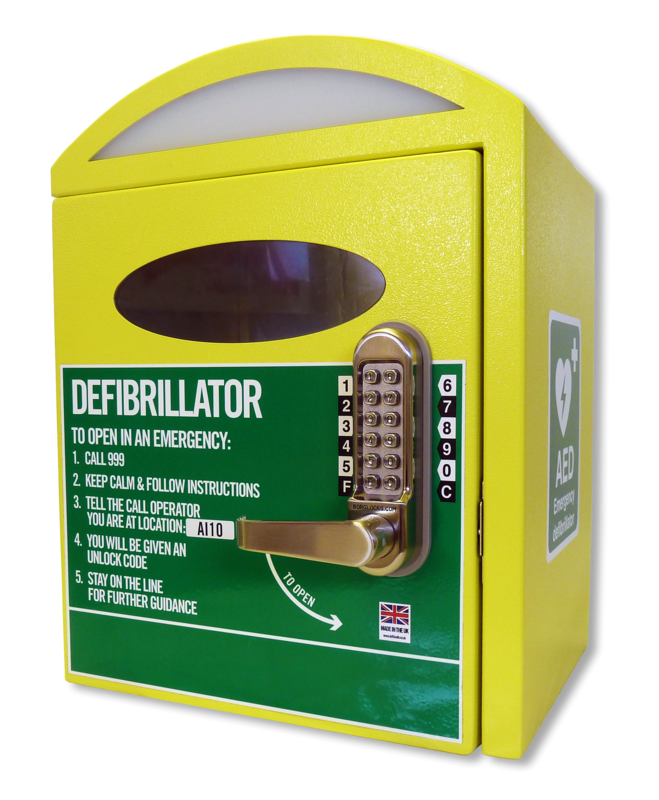 135,000 people per year go into cardiac arrest outside a hospital environment. 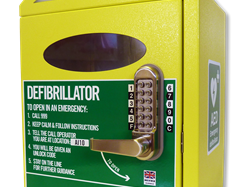 85% of these incidents involve the heart going into a ‘shockable’ rhythm – i.e. 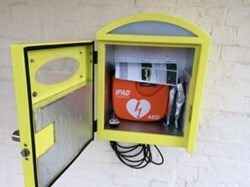 it is possible to jolt the heart back into a healthy rhythm using a defibrillator. When someone is in cardiac arrest, their chances of survival fall by 10% with every minute that passes before receiving treatment (shock). 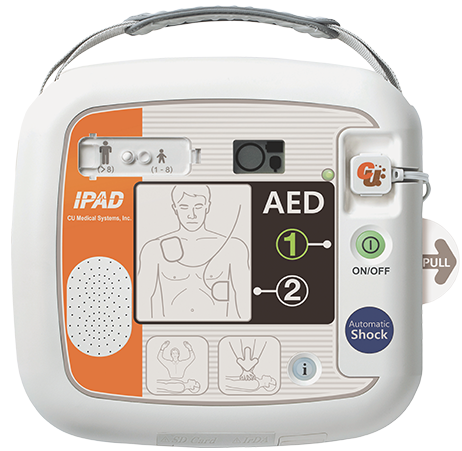 An Automated External Defibrillator (AED) is a portable, self-powered device that guides the user through the stages of analysing the patient’s heart rhythm and administering electrical shocks if needed. The AED talks to the user (both verbally and on a screen) and guides them clearly, step by step. The AED can be passed from person to person, or stored in a central location. 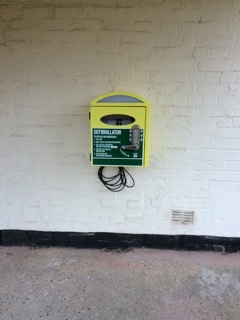 If stored in an outdoor location, it can be fitted with its own temperature regulator. 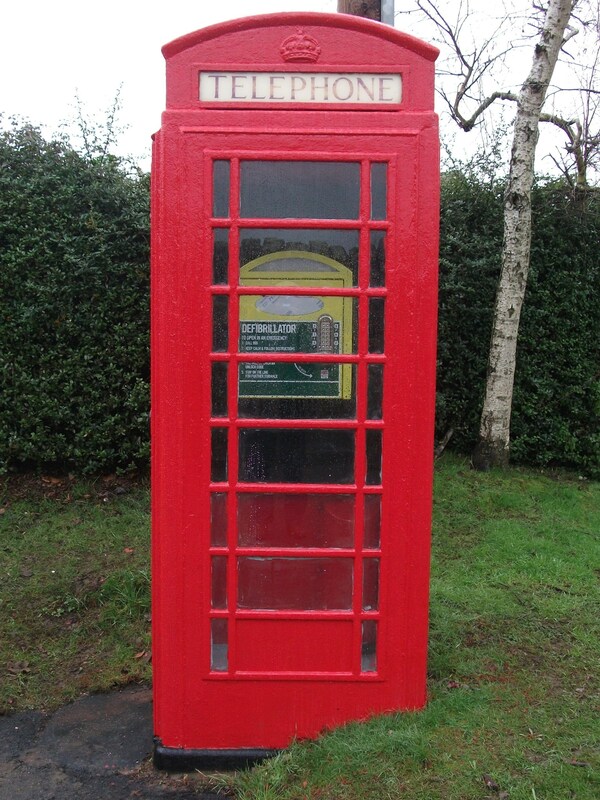 It can be locked securely in a vandal-proof unit, with a numerical Pin Code that trained users can use to unlock it. 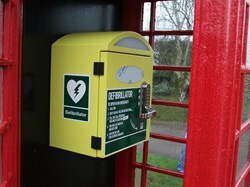 In a cardiac emergency the 999 service will contact local trained users either by rota or by a dedicated mobile phone. Who are the ‘trained users’? 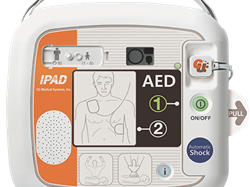 Anybody can be trained to use an AED. The training is free and lasts about 4 hours. Free regular updates and refreshers are available. The training involves basic CPR life support skills, which are vital to use alongside the AED, as well as use of the machine itself. The machine itself costs around £1000 - £1500. All the necessary equipment is included. The 4-year non-rechargeable battery costs around £300. The secure wall box costs extra.